It’s the new year again and yet again one of your fitness goals is to lose weight, eat clean and adopt a healthy lifestyle. This feel will remain with you for a few days and then it might fade or disappear. As a woman, we often tend to ignore these aspects and put ourselves very low on our own priority list. If you have a busy life and have no access to a gym then these simple exercises that I am suggesting can be done at home as well. All you need to invest is 20-30 minutes three days a week and you will be on your path to the better version of you. Don’t have the time to get out or don’t have a gym nearby? We are suggesting these simple workouts that you can do at home. This is a very good exercise for warm up. You simply need to jump while extending both your legs and arms out with each jump and then bringing them back to the rest position. 20 to 30 jumping jacks should be fine.Jumping jacks primarily work by boosting your heart rate which, in turn, causes your body to burn calories and excess fat more effectively. Squats require no special equipment and can be easily done at home. Do 15 to 20 repetitions of squats at your home at a time convenient to you. Stand tall and straight with your feet slightly apart. The feet should be spread apart more than your shoulder width. Stretch your arms straight out in front of your body. The arms should be at the shoulder level and perfectly parallel to the floor. Keep your torso upright and your lower back slightly arched. Brace your abdominal muscles firm and push your hips back. Now, you need to bend and unbend your knees, the way you do sit-ups. Squats help to build all your leg muscles that are: quadriceps, hamstrings and calf muscles. However, they do help to increase upper and lower body strength. Push to the next level by squatting with your back next to a wall, imagining you are sitting on a chair. If the inclined push-ups seem too easy, you can add more challenge by putting your hands on the floor. Do 15 repetitions of routine push-ups. These help to increase whole body muscle definition and shaping. Do these for an overall strong body. Bring both your legs to the table top position while lying down on a Yoga mat. Raise one of your legs up and extend it fully. Hold in this position till you can and then gently bring the leg back to tabletop position. Then, do the same with the other leg. Slowly bring down both your feet to touch to the ground. These work to strengthen your core. Take a regular push-up position but you need to add some challenge to regular push-ups by placing your hands on a bench or perhaps stairs, instead of the floor. Your body should be straight from your head to the ankles. Keeping your body firm, lower down your body to a point when your upper arms dip below the height of your elbows. Stop for a couple of seconds and then, raise yourself back to the starting position. 12 to 15 pushups should be fine. These chiefly work on the muscles of the Pectoral region. Weren’t these simple suggestions with no fancy equipment required? Practice these workouts regularly at home to stay lean, fit and strong. Wow !!!!! 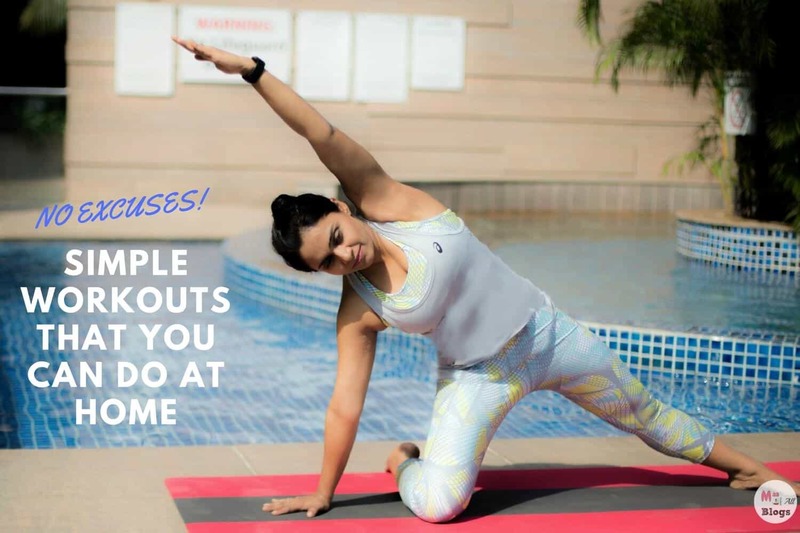 loved this post a lot, these are the some exercises which helps you to keep your body well toned without investing much time, in the beginning of my exercise days i used to perform these free hand ones. Very nicely described the process.